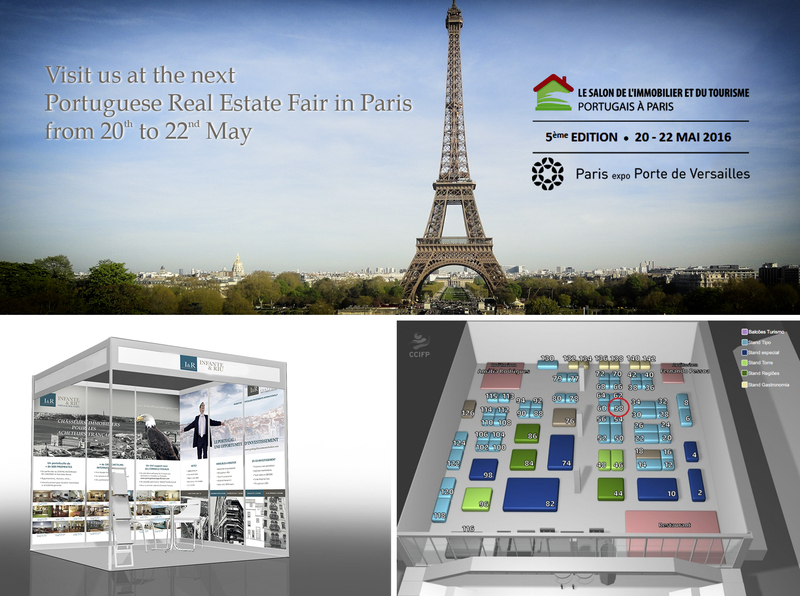 INFANTE & RIU group, represented by its real estate agency and its brokerage company for real estate projects, will be present at the Portuguese Real Estate Fair in Paris in 2016, which will be held from 20 to 22 May, with an individual stand where we will present more than 600 properties in portfolio and other investment projects with high revenue (buildings to renovate, in co-investment, hotels …) to French investors, more and more attracted to Portugal. Join us at the Stand Nr 58! The real estate investment volume in Portugal has reached last March 93 million euros, mostly due to the golden visa program with which 168 residence permits have been granted. The first trimester outcome was set on 232 million euros, 43% more than 2015 same period. APEMIP (Portuguese association for real estate professionals and companies) foresees 35% to 40% increase on real estate transactions this year as «one in five transactions are from foreign investors» therefore, «Government begins to face this sector as export trade», states Luís Lima, president of the association, to Lusa. 10 reasons why Portugal is the place to invest. We are an International Business Broker in Lisbon, focused in marketing Portuguese Investments internationally, especially full or partial sale of companies and projects from the real estate market. We represent, for instance, Building Renovations, Real Estate developments, Resorts and Hotels.